As an intense beard lover, I was thrilled last Christmas when my boyfriend offered to purchase me a knit hat with a beard attached, so I could fulfill my dream of having a beard anytime I wanted. 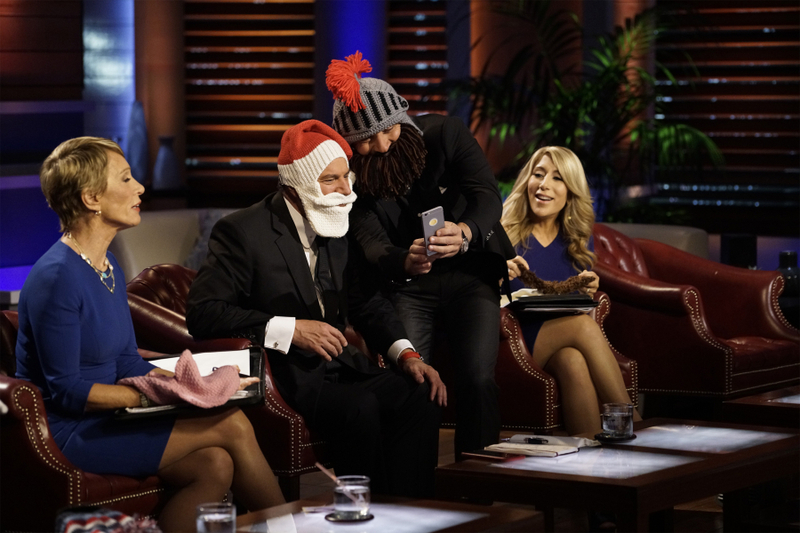 Now, the company behind these gems, Beard Head, will be on Shark Tank on Friday, Dec. 11. As the company website says, Beard Head is the "largest bearded headwear brand in the world" (and yes, they acknowledge that's quite a niche market) and now they are off to make their brand even larger by appearing on ABC's Shark Tank. Beard Head creator David Stankunas was inspired to create these quirky hat plus beard combos on a skiing and snowboarding trip in Lake Tahoe in 2006, the website explains. Stankunas' face was cold as he went down the mountains and his bandana wasn't cutting it, thus the beard-hat idea came from the winter weather. If you're like me and love the idea of a knit beard keeping your face nice and toasty in cold weather, then Beard Head is for you and the hats with detachable beards are easily ordered off the Beard Head website right now. Plus, there's free shipping from the company's downtown Los Angeles warehouse to anywhere in the U.S. While Beard Head sells more than just beard hats, that's the company's bread and butter and Stankunas will have to convince the Sharks that his silly hats are serious enough to warrant an investment. In honor of the product getting coverage on ABC, here are some of the best styles of each of Beard Head's collections to get your head in the beard game. Perhaps it's just the child model's face that sold me on this hat, but the juxtaposition of the cheerful and bright colors of the hat mixed with an intense child-sized beard makes for hat perfection. This faux fur-lined hat will keep your head extra warm, while the oversized mustache will protect your upper lip. I hate to say it, but this hat would even look good sans the beard. I'm not a big football fan, so my personal favorite of the Tailgate Collection is the orange and black Barbarian style to help me support my hockey team, the Philadelphia Flyers. But no matter which team (or sport) you root for, Beard Head has an assortment of color combinations for you to show your pride. The Santa Claus look appears in multiple collections, but 'tis the season to acknowledge the jolly man. My personal favorite is Comfy Santa since comfort is essential when delivering gifts around the world. If you want to look intimidating with or without a beard, then this Knight Helmet is for you. Based on the promotional photos, Shark Robert Herjavec will even be trying it on during the Dec. 11 episode (with the optional, attachable beard), where he'll have to decide if the laughs that Beard Head provides are worth the money.